Sonic Youth's self-titled EP was originally released in 1982 on Neutral Records, which belonged to Glenn Branca of Theoretical Girls. The version I found is the 1987 SST reissue, which, to me, was still a pretty cool find and worth the $25 I dropped. I gave this a spin last night and it sounds clean, though it could use a dusting. 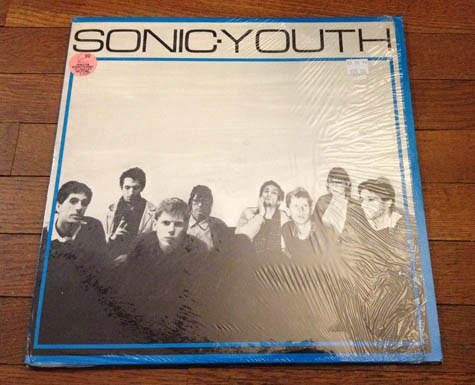 It's worth noting that Sonic Youth's signature dissonance hadn't yet become a major part of the band's identity, (though feedback and atonality still play some role), so the EP is rooted in the more familiar workings of the post-punk/no wave underground that defined New York's art scene in the late 70s. There's some A Certain Ratio groove to this, too. John Coltrane began his very prosperous relationship with Impulse! In 1961 with Africa/Brass, a grand endeavor featuring a cast of 21 players. Included were future quartet partners, drummer, Elvin Jones, and pianist, McCoy Tyner, both of whom had already performed on the last of Coltrane's Atlantic releases, Coltrane Jazz and My Favorite Things. Eric Dolphy had been tasked with orchestrating the sessions, though Tyner was later accredited with sharing that responsibility in the 1995 reissue of Africa/Brass, which was renamed The Complete Africa/Brass Sessions as it pulled together the original album and the material found on The Africa/Brass Sessions, Vol. 2, another of my Saturday finds. 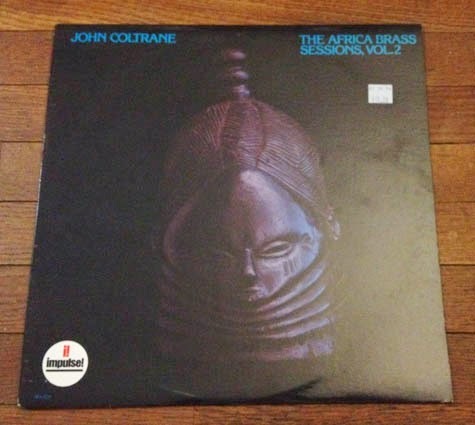 The Africa/Brass Sessions, Vol. 2 was originally released in 1974 and features three outtakes from the 1961 sessions orchestrated and arranged by Dolphy. "Song of the Underground Railroad" hadn't yet been released. The copy I purchased is a 1999 reissue of the album, a large sticker on the back boasts "Includes original liner notes and photos." I paid $15. I'm at a point where I'll pick up whatever Coltrane vinyl I can find. So as to keep the cost low I put back an early 80s Ornette Coleman LP and a copy of JACO by Jaco Pastorius.